← Wacky Wednesdays – Pieces! 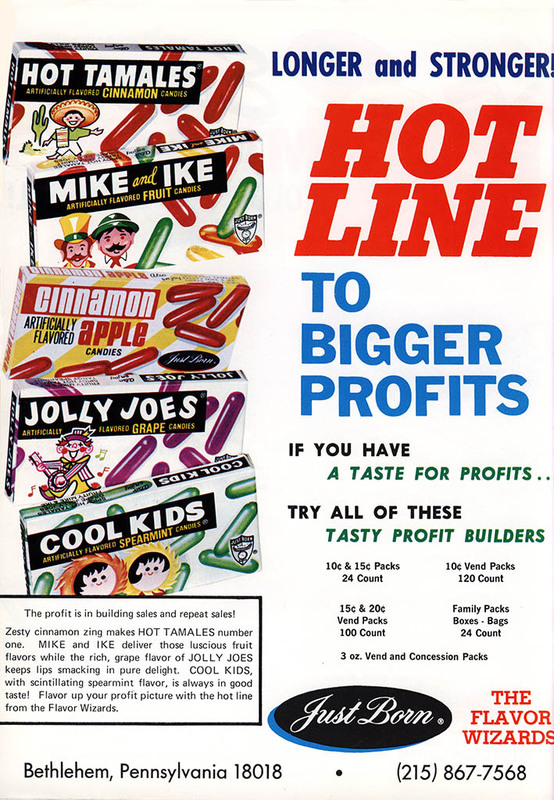 A few years ago, I created and posted a 1970’s Hot Tamales Kid themed holiday message on Flickr, and on that little graphic, I imagined cinnamon-and-apple-flavored Hot Tamales candies. It was a fanciful idea that I thought I invented. But it turns out that a cinnamon apple product from Just Born was actually a real product…all the way back in 1979. While flipping through a candy trade magazine from 1979, one that was a part of the L.M. Kallok Collection, I found a trade ad from Just Born, the makers of Hot Tamales. It was similar to the Just Born ads I’d come across before, but this one had an unfamiliar candy box included upon it, and one I’d never seen before; Cinnamon Apple! The Just Born family of candy packaging is one that is especially close to my heart, and were some of the very first things I started collecting, when I started collecting candy. So, one of these boxes is at the very top of my current want list. If you’re curious, here is the Flickr graphic I put together for the 2007 Christmas holiday season. And that’s everything for today. 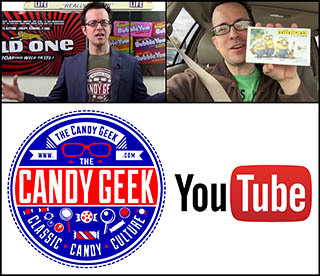 Another bit of our fun candy past uncovered and revealed! This entry was posted in 1970's and tagged 1970's, 1970's candy, 70's, candy collecting, candy collector, candy packaging, collecting candy, Hot Tamales, Just Born, mascots, packaging, vintage, vintage candy. Bookmark the permalink. 2 Responses to Cinnamon Apple Hot Tamales — Say What!? !